Who doesn’t love hearts. I love them all year round, not just for Valentine’s Day. You can actually find all kinds of heart art all over my Instagram page. 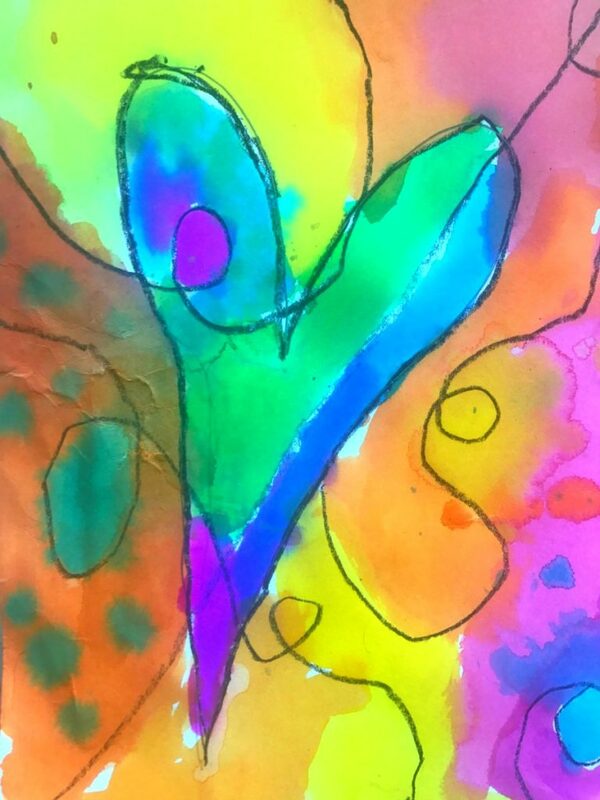 I loved making this colorful heart art project with my son’s first grade class. The children were so proud of their finished abstract hearts and this project was also a great way to teach them about warm vs. cool colors. We started the project by categorizing warm vs. cool colors. We listed all of the different things we could think of that fell into each category. Once the children were comfortable with the difference between warm vs. cool colors, we started the project. Liquid Watercolors – I used liquid watercolors instead of regular watercolors because I wanted the finished pictures to be extremely vibrant. Black crayons – If you are doing this project with a group you can buy black crayons in bulk here. Using a black crayon, start by drawing a heart in the middle of the paper. Next draw intersecting lines from the edge of the paper through the heart. I emphasized drawing softer, looping lines instead of straight lines. Pour a small amount of liquid watercolor into separate plastic palette with wells for the colors or mini cups. 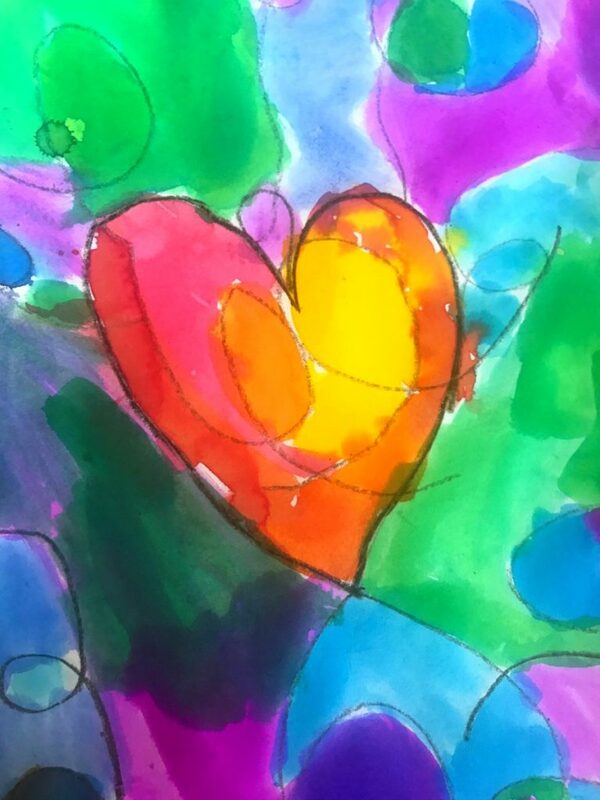 Decide whether the warm or cool colors will be inside the heart or on the outside. Paint the heart first by filling in each section with a different color. Paint each section on the outside of the heart next. 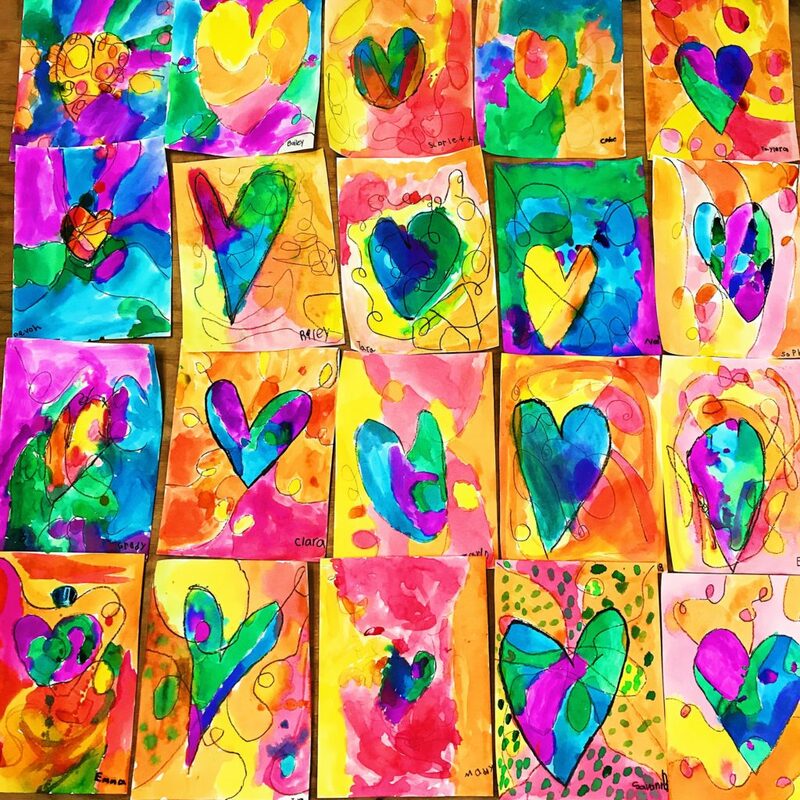 This heart art project is a great way to create some beautiful Valentine’s Day art or Valentine’s Day cards. If you’re looking for more heart ideas, check out how to make doodle heart rocks. For more colorful art inspiration, head over to my Instagram page or Facebook page.